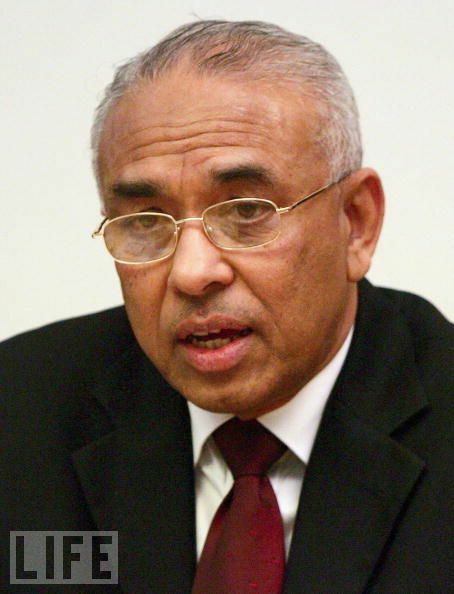 Former adviser on Muslim issues to the Howard government in Australia, Dr Ameer Ali is a graduate of the University of Ceylon who went on to read for a Master of Philosophy from the London School of Economics and obtained his PhD from the University of Western Australia with a thesis on the religious precepts and economic practices of the Muslim community in Sri Lanka. Dr Ali is of the opinion that Muslims have played pragmatic politics in the past by joining national parties and have achieved political gains for their community. However, he regards the advent of the Sri Lanka Muslim Council (SLMC) as unnecessary and counterproductive. Speaking to The Sunday Leader, Dr Ali claimed with conviction, “Ethnic politics is the bane of this country”. “The SLMC came out with a religious cry,” he said, “This was evidenced by their first leader M.H.M. Ashroff shouting ‘Allahu Akbar’ at the opening of political rallies. It is a political abuse of religion when the name of God becomes a rallying point”. According to Dr Ali, the Tamil National Alliance, the Bodu Bala Sena and the SLMC are one and the same. “They are all playing petty politics with ethnicity,” he claimed. No religion should ever be a state religion. A constitution must be secular with secular laws. “The time has come to rethink the role of language and religion in our constitution,” he added. The problem that Sri Lanka faces is that its intellectuals, few and far between, are going for political correctness and are mute on the matter of fundamentalism. To this, Dr Ali responded, “The State must protect all views. We have to develop critical minds. Note that our religious examinations always ask questions of what, when, where but never why. 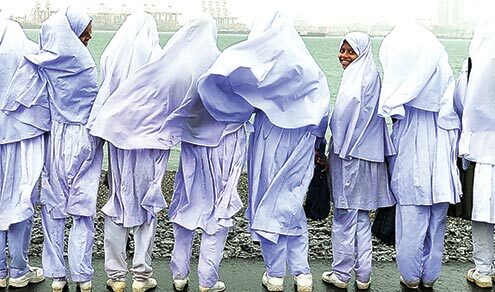 We would not need madrasas if religion was thought in a critical manner in school. Madrasas only breed competitive religiosity. The only way to stimulate individuality is to encourage critical thinking. Let one thousand flowers bloom and let those who question the paradigm come together”. “The Portuguese were zealots. They were against Islam. With the fall of Spain, they looked down upon Muslims,” he added, “For the sake of convenience they called any Muslim they met in the Indian subcontinent as Moors”. This matter of the ethnic marker was not taken up seriously until the 1880s when legislative councillor Ponnambalam Ramanathan wrote an article about the Sri Lankan Moors that claimed that they were of Tamil origin. “He had a political agenda to say that,” Dr Ali noted. Of or in Sri Lanka? According to Dr Ali, the Muslim of today is obsessed with the outward form of Islam. “Islam never instructs its followers to separate themselves from their neighbours. It says to be respectful of others, as only God is judge. We are too insular a community and we are dissociating ourselves by planting date palms in Katankudy,” he noted, “That only reinforces this idea that we are non-native to Sri Lanka. We are alienating ourselves”. “I receive complaints from my non-Muslim friends that Sri Lankan Muslims are not amiable. They are hesitant to visit a non-Muslim house, and when they do, they ask if the food they are being served is Halal,” he observed, “The most conservative Muslim folks are against participating in the festivities of non-Muslims. I challenge that. I do not have to drink and eat haram foods to partake in festivities”. “I am not saying that we should avoid the restriction of Halal as it refers to food over which the name of God has been mentioned,” he clarified, “The question of the Halal controversy in this country does not question the name of God, it questions the manner in which animals are slaughtered. I have seen butchers drag animals and beat them. They are shivering! Anyone would question whether to consumer this product. This torture is haram! Hindus and Buddhist do not want to see meat displayed on the roadside”. The most conservative and rigid teachings of Islamic law derive from a confusion between the fikhr and Shariah. The term Shariah occurs only once in the Quran, and it is in the sense of morals, not law. The fikhr or regulations are man-made. “We are confusing the terrestrial with the celestial,” he said, “The fikhr can be adapted and changed. We have failed to contextualize the Quran and textualize the context”. Dr Ali recalled that in the 9th and 12th centuries, the Mu’tazilites, the rationalist Islamic scholars, borrowed heavily from Greek philosophy. “Ibn-al-Arabi was known in the Muslim world as the ‘second teacher’, begging the question of who was the first teacher,” he noted, “It was Aristotle”. The Muslims took from the Greeks, enriched their philosophy and gave it back to them. Not long after that, orthodoxy reigned supreme and suppressed the intellectual movement. According to Dr Ali, the Muslim world has not produced a single worthy intellectual scholar since that time. “Conservatism and rigidity cannot bring peace to the world. They are trying to create a New World Order,” he claimed, “What is the position of Christians and Jews in this Islamic worldview? They are protected minorities. What is the position of Hindus and Buddhists? They are kafirs against whom we must wage war”. History, in the eyes of the Muslim, has been frozen after the fourth caliph, and, thus, Dr Ali urged that we go back to the humanist movement in Islam. “We cannot continue to fear God. We must love God. That is the message of the Sufis that the Wahabis so hate,” he added, “There is a story of Rabiah of Basri, the first female mystic, carrying a fiery torch in one hand and a bowl of water in the other. When asked why, she said that she wanted to burn heaven and put out the fire in hell”. The Islamist is unwilling to tolerate differing views, he noted, but who is to judge which way is right? Today, Muslims are living in a parallel society and that is creating tension all over the world. “The fault exists in the way we educate our children,” he claimed, “They are being indoctrinated, not educated”. While the Quran states that it is the book for those who think, the conservative Islamists state that questioning is the devil’s work. And, so, those who come up with new ideas are persecuted as apostates. “This is what has happened to Bassam Tibi and Amina Rasul. Laila Bakhtiar, who wrote The Sublime Quran, questioned whether a husband can beat his wife and she has been condemned,” he added. The uprisings in the Middle East have been hijacked by religious politics. The revolution started by the youth was hijacked by the Muslim Brotherhood and has led to a totalitarian state in Egypt. This is the vested interest of the US, to protect the centre of their world. The Prophet sought an egalitarian society that provided justice for all. He saw a majority suppressed by the rich. Today, some of the worst poverty in the world is in Islamic states. Just look at Bangladesh, Pakistan and Yemen. We have given too much importance to the rituals and forgotten about the spirit of jihad. “In Sri Lanka, there is prejudice between the Tawheed and Tablighi sects. The Tablighi Jamaat is concerned about the hereafter, not this world, but how can this be so – religion is for the living, not the dead!” he exclaimed. In a geo-political sense, according to Dr Ali, this intolerance is dangerous. “It is a totalitarian political ideology that religious bodies such as the Jamaat and Ulaama spread when there is no room for dissent,” he noted, “While the Jamaat must be given credit for filling our mosques and ridding them of the social evils such as drunk Muslims walking in like in the 70s, they should not be allowed to give political guidance. The Ulaama is an unelected body that is trying to dictate to everybody, and, in turn, they are being used by politicians. We are a minority and yet we asking the majority to tolerate the intolerant”. “Why can’t we hoist the national flag at every mosque?” he asked, and recalled that it was the Muslim politician A. Sinnalebbe who proposed that the flag be hoisted at Parliament in 1948. Dr Ali urged that mosques cease to call azhan in urban settlements, citing this as the cause for bana to be amplified.